You’ve packed the essentials already – hats, sunscreen and the kids – but you need more than that when you head to the beach. Here’s a shortlist of fun accessories you could be taking for a day full of comfortable seaside fun! 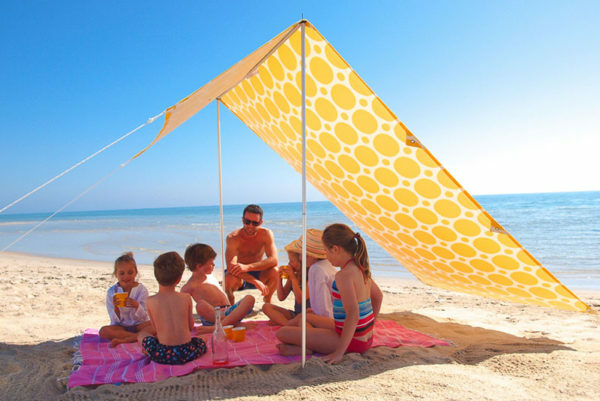 Shade is a must when wanting to have some beachy fun. The beautiful and brightly coloured Sombrilla is large enough to shade the whole family during high and low sun. Available in four prints, you can find it at Hollie and Harrie, $168. If like me, you’re wanting to avoid sand-filled, wet and heavy towels, look to these postcard perfect gems from Hammamas. 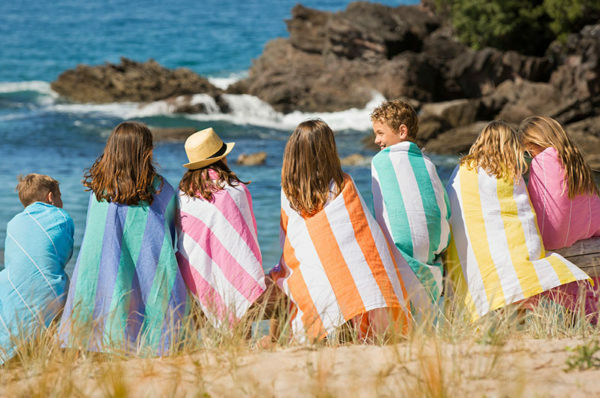 Part sarong, part beach blanket, these lightweight Turkish cotton towels are super-soft and absorbent, dry in no time and don’t hold any sand! See the whole collection at Hammamas, priced from $26. Chairs for the beach? But of course! Step back into your own childhood with the glorious and all-too familiar yellow webbed chair. The Low Rider Beach Chair is the perfect height for getting in and out of in the sand, which let’s face it, isn’t always easy. $79 from Byron Bay Beach Life. Any peace-loving parent knows to keep everyone happy for hours, hunger must be kept at bay. Pack a bounty of snacks and frozen drinks in an awesome insulated container. 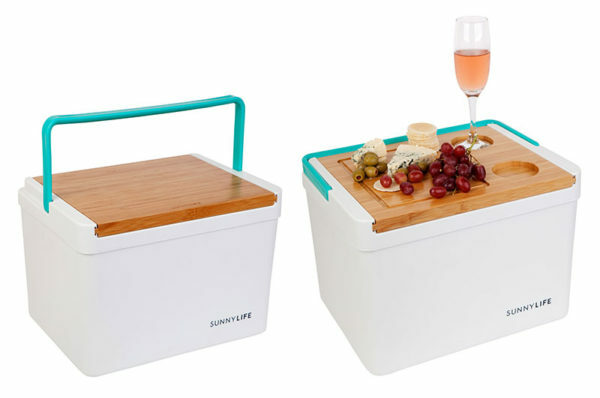 We love the retro style of the Sunnylife Viridian Turquoise Cooler Box. It can be yours for $99, from Botanex. Beach bags, like handbags, come down to personal style. 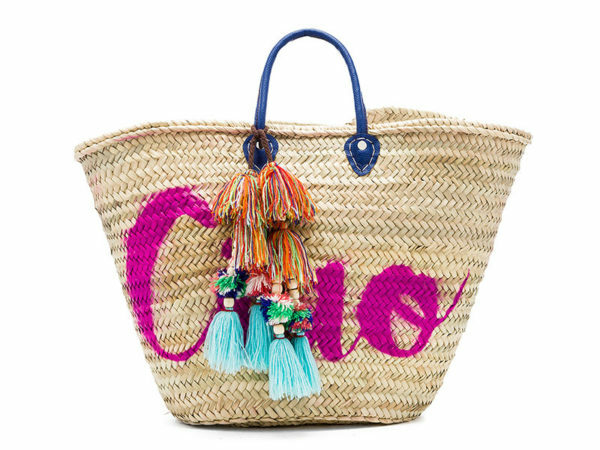 For the record, but not-so-much my budget, I have a severe case of wanty wanty over this incredibly cute Marrakech Ciao Bag. From Revolve, priced at a rather hefty £89.50. Don’t risk your phone with happy snaps in the water, go old school with a film camera in a waterproof housing – awesome! 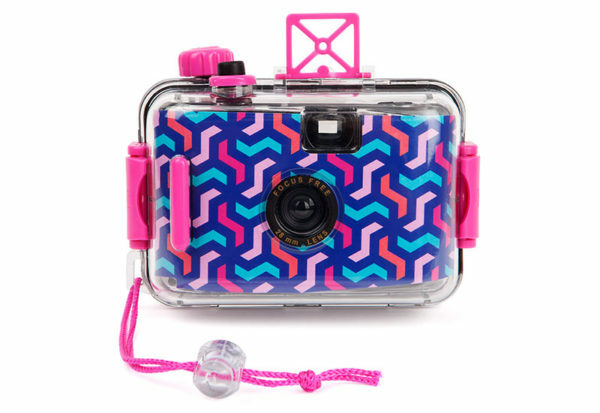 The Underwater Camera Wategos is priced just $26.95 from Sunnylife. Beach tunes go hand in hand with beach cricket and barbecues! 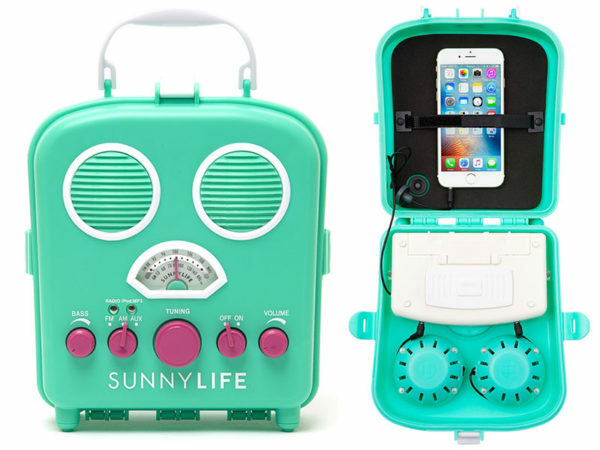 Protect your smart devices from sand by housing your playlist in an outdoor-specific speaker such as the Sunnylife Beach Sounds Speaker. Playing both mp3 files and includes an AM/FM radio, it’s priced $64.95. 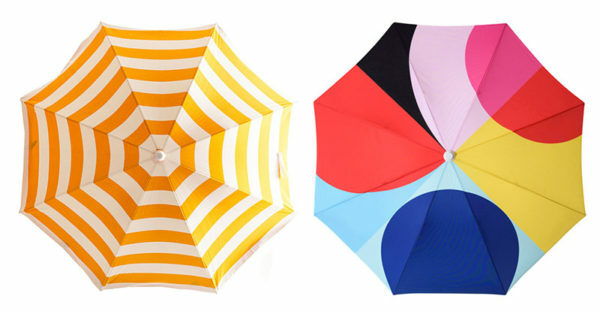 One of my favourite beach brands, Basil Bangs creates the most magnificent beach umbrellas and rugs. The Love Rug ($155, pictured above) measures a generous 1.8m in diameter, while the Beach Umbrella (from $259, pictured below) provides throws delightful, coordinating shade. 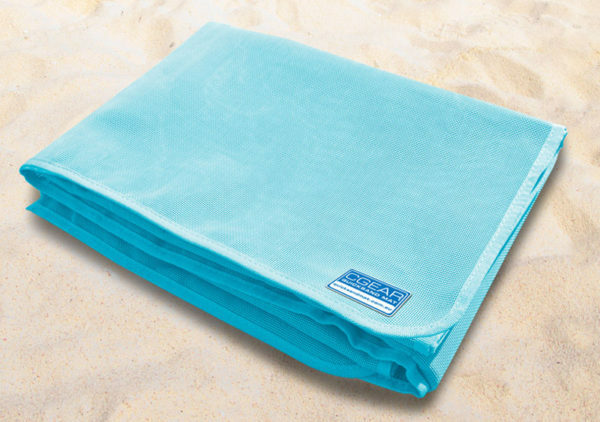 Avoid being covered in, or sitting in the sand with the genius Quicksand Beach Mat. 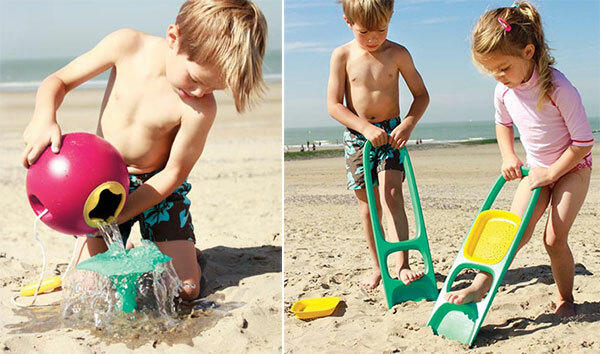 Kids flicking up sand is no longer an issue, sand just falls straight through – Hallelujah! Available in three sizes, it’s priced from $89. For serious beach goers who need to haul a lot of gear, you might want to consider a wagon. Yes, a wagon. With a weight-bearing capacity of 100kg, there’s not much you can’t ferry across the sand in this beast. Wide Wheeleez wheels makes skipping across the loose sand a breeze. 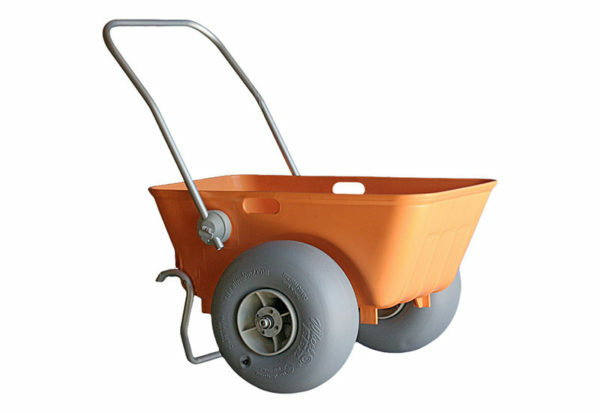 Find the Beach Cart, priced $420 at Beach Wheels Australia. Finally, let’s not forget beach toys. Kit the kids out with sand toys from the brilliant Quut range (suitable for snow and bath also) to really stretch their sand castle expertise! Prices start at $12.95 and toys are available locally from Lime Tree Kids. Happy beach days, Babyologists – and don’t forget to slip, slop and slap!